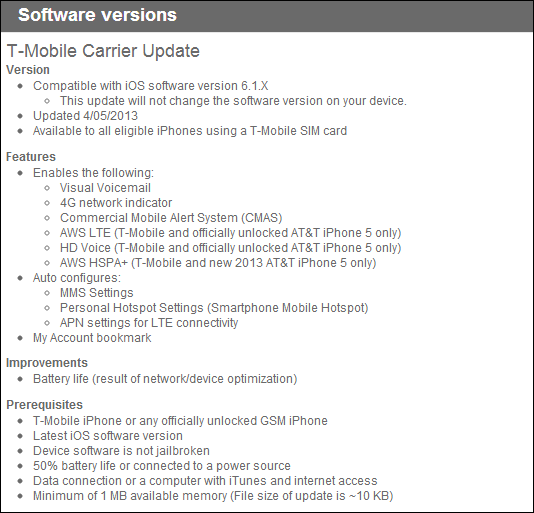 As expected, T-Mobile has today pushed a carrier update out to unlocked iPhone 5 handsets running on its network. 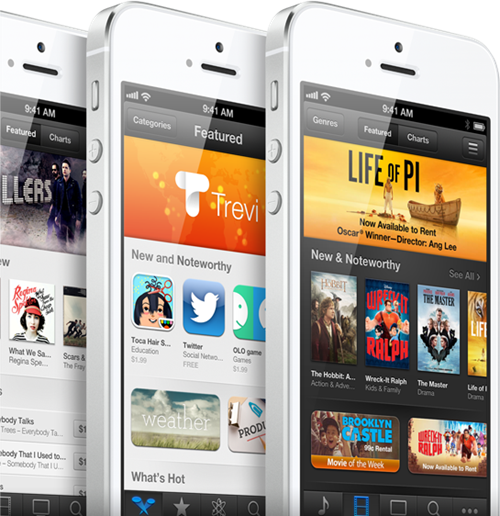 Released just as official pre-orders began for the T-Mobile iPhone 5, the carrier update enables some of the typical iPhone 5 features on the network whilst also boasting one or two extra additions along the way. Available now for any unlocked iPhone 5 connected to a T-Mobile cell tower in the United States, the carrier update’s biggest headline feature is the addition of 4G LTE access for those that happen to live in an area with a 4G-enabled tower. You’ll still be sans-3G due to hardware limitations, but you’re good to go for that lovely 4G everyone likes to rave about. In addition to 4G, the carrier update also brings Visual Voicemail to T-Mobile for the first time, which is one of the most underused features of the iPhone in our opinion, and we’re guilty of it just as much as anyone else. Now T-Mobile customers can ignore it, too! HD voice calling is also enabled as part of this carrier update, along with the Personal Hotspot feature for those wishing to use their iPhone 5 as a portable 4G base station. There is improved battery life, too, thanks to some reworking and optimization of how the handset connects to T-Mobile’s network, something that wasn’t possible until the company got into bed with Apple proper. As far as T-Mobile bloatware is concerned, the only addition is simply a bookmark that links users to T-Mobile’s ‘My Account’ site. We’re sure nobody will be up in arms about that, considering what carriers like to do to certain Android phones! We will not get into that debate here. T-Mobile customers without an iPhone 5 can pick one up starting April 12th when the handset goes on sale via the big purple carrier proper. Pre-orders for that began today, with the iPhone 5 starting at $99 plus contract. The addition of T-Mobile to the iPhone family now means that all the major carriers in the United States can offer Apple’s smartphones to their customers. 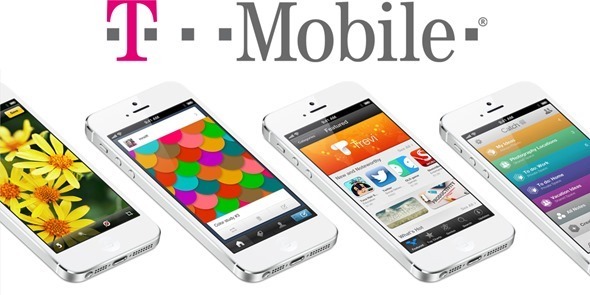 Increased competition amongst mobile operators is always a good thing, so we’re glad to see T-Mobile finally on board. Let’s just hope everyone that wanted an iPhone hasn’t already jumped ship! UPDATE x1: T-Mobile LTE iPhone 5 Carrier Update is now available for download. Navigate to Settings -> General -> About on your phone to grab the update!